I love no one but you, I have discovered, but you are far away and I am here alone. Then this is my life and maybe, however unlikely, I’ll find my way back there. Or maybe, one day, I’ll settle for second best. And on that same day, hell will freeze over, the sun will burn out and the stars will fall from the sky. Even though it's been a while I still weeps for you late at night, when sleep does not come easily. I weeps for the one I miss deep inside. I weeps for the dreams on the touch from tips of your fingers. I weeps so hard and so much and so often. So you don't have to. So you can carry on. It weeps for you. Remember the times we endlessly talked for hours till dawns of a new day? I felt so close to you then. Part of me knew what you had to do and where you had to go but in that moment… I’d have given anything to stop you.I still stare at the sky at least once a day. Hoping that one day, I’ll see you again. Nature crowned you with dew as you work while I watched. Like a web after the rain. Like stars in the night sky. I didn't want to disturb you,I just wanted to sit and watch a while longer. Picturing them in my mind. In that moment. Freeze it. See every detail. Hear every sound. Smell every scent.Those stolen moments would carry me through the pain. But these memories of you aren't just created on my skin, but in my mind and in my heart. You are gone now, maybe never to return, but many of these places you created in my soul would always remain. That is why I keep trying to stay away from that dreaded love!!! Yeah, the worst part is when two people are unable to feel for each other on the same wave length. But the best part is, the true love comes to us when we let go of what is not meant to be. So, probably it is not the second best but the best chance that yet has to come. I believe God's plans are better than our wishes. Isn't it Sajini? 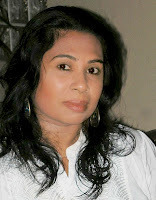 And, you know Sajini, it is only power of the better love that can heal the scars of love lost. So, best part is yet to come in life. Really so heart touching...it's so panic when even after loving each other like made for each other... like soul-mates... two people have to be apart just for the sake of others happiness... life seems worst here... and even though have to breathe for others. Will you stand by me ?